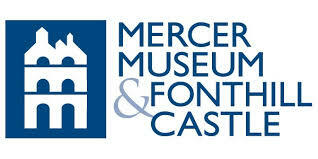 ESI is Proud to Sponsor the Mercer Museum and Fonthill Castle's Cocktails at the Castle | Econsult Solutions, Inc.
ESI is proud to sponsor the Mercer Museum & Fonthill Castle‘s Cocktails at the Castle on October 13, 2017 from 6:30 to 10:30 PM at the Mercer Museum. This event is the museum’s annual fall gala benefiting the museum’s education and preservation programs. Enjoy the museum like never before with a unique dining experience around the castle, sampling locally sourced food from the area’s best restaurants, wineries, and more. Also take part in their online auction, where online bidding has begun with new items being added weekly. Bids can be placed before and during the gala.